Powerful strategies for teens and young people to reach the american dream. 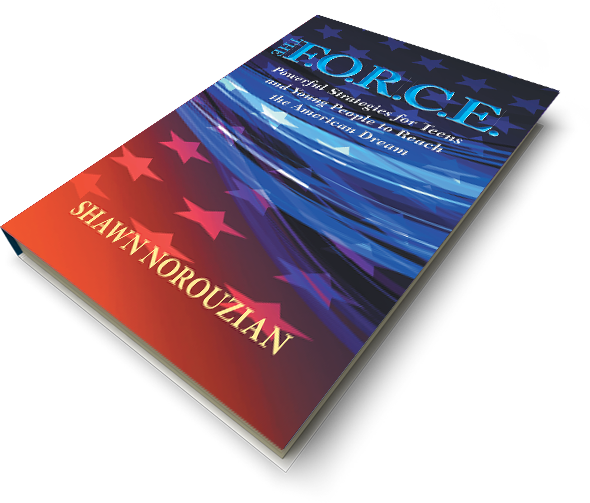 Shawn Norouzian is a businessman working in Texas and has developed the F.O.R.C.E. for youth to understand and reach their full potential. He graduated from Franklin University in Columbus, Ohio. He has much experience with business development working in the medical and healthcare arenas. Shawn lives with his family including three children that keep him busy. The love of family and people is his number one priority! Unleashing positive energy by teaching youth the FORCE tools to achieve the American Dream through hard work and determination.